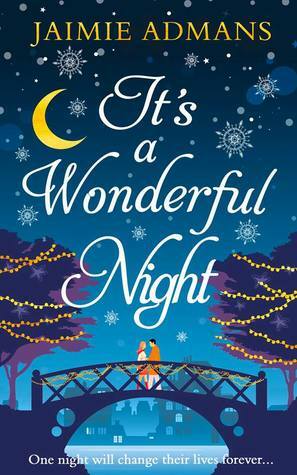 It’s a Wonderful Night by Jaimie Admans is a holiday contemporary romance. Now while the cover seems whimsical and fun this one actually is set on the rather tough subjects of suicide and depression. Getting many mentions in the book is the movie It’s a Wonderful Life and while this isn’t a direct retelling it’s similar in nature. 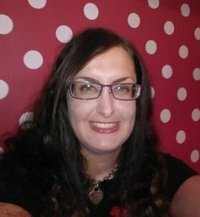 Georgia Bailey works at local charity shop in a small town in the area of a few still privately owned shops that are struggling to compete with the big chains. One night while working late Georgia gets a phone call from a man on the side of a bridge that has mis-dialed the suicide hot line. Instead of hanging up Georgia lends and ear to someone who obviously needs it and talks the man down. The next day as Georgia heads into work at the charity shop she discovers that the man she has had a crush on that owns the local coffee shop is the same man from the phone call the night before. Knowing that he’s struggling to keep his shop open and hang onto hope Georgia finds herself jumping in and doing whatever she can to help him wthout giving away her identity from the call. Now, before I say anything else I would like to point out that I’m not a huge fan of the overused hide my identity trope. I’m not sure why anyone would think not being honest is a good idea and a basis to form a relationship so I struggle with believability with this one. However, I am a fan of Jaimie Admans writing as she has a way with making her characters, story and setting quite charming and likable with a dash of humor and this was no exception thankfully. In the end I’d give this 3.5 stars as the identity angst lasted a little long in my opinion but that’s from one that would prefer it not be there at all. She has been writing for years but has only just plucked up the courage to tell people. She is the author of chick-lit romantic comedies Kismetology and The Chateau of Happily Ever Afters, and young adult romantic comedies Afterlife Academy, Not Pretty Enough, and North Pole Reform School. I absolutely love her writing and this would definitely score higher if I just wasn’t tired of that particular trope. Nice review Carrie. Thanks for the heads up about the topics and your insights.